Authorities investigating last month's EgyptAir crash say data from one of the black boxes confirms smoke was on board the plane before it went down. Some recovered wreckage also shows signs of heat damage. Black box data from the crash showed smoke alarms had sounded on board, while soot was found on the wreckage, an Egyptian-led investigative committee said on Wednesday. "Recorded data is showing a consistency with ACARS messages (the plane's automated reporting system) of lavatory smoke and avionics smoke," the investigators' statement said. They also said they found "signs of damage because of high temperature." Last week, the two black boxes on board the flight were sent to France for repairs after sustaining heavy damage in the crash. They were then returned to Cairo for data analysis. EgyptAir flight MS804 was flying from Paris to Cairo on May 19 when it crashed somewhere in the Mediterranean, killing all 66 people on board. Following the recovery of some of the human remains, officials said there was likely a blast on board the plane. Earlier, an aviation expert told DW there had likely been a fire. "There was a fire on board," said Tim van Beveren. "The system sent very clear messages. There was lavatory smoke detected. A minute later, avionics compartment smoke detected... Two minutes later, the flight control units are failing." The black boxes recovered from Ethiopian Airline's crashed 737 MAX have arrived in France for analysis. Meanwhile, relatives of those killed have stormed out of a meeting with the airline. 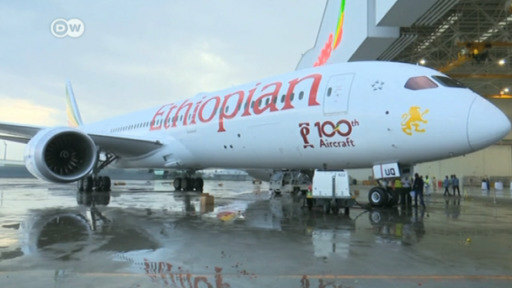 Investigators have recovered the black boxes from an Ethiopian Airlines flight that crashed outside Addis Ababa. The Boeing 737 MAX 8 bound for Nairobi went down six minutes after take-off, killing all 157 people on board.